The 7 th /8 th grade Holliston girls select team was placed in the top bracket of the Natick Columbus Day Tournament. The girls more than held their own – tying both Needham (0-0) and Framingham (0-0) and beating Wellesley (3-1) to advance out of the group stage. In the semi-finals, they were matched against the French-speaking girls from St. Lambert, just outside of Montreal – for some international competition. They played to a 1-1 draw after 60 minutes of regulation and another 10 scoreless minutes of overtime. Holliston ultimately came up short on penalty kicks, 4-3, and St. Lambert went on to win the tournament. 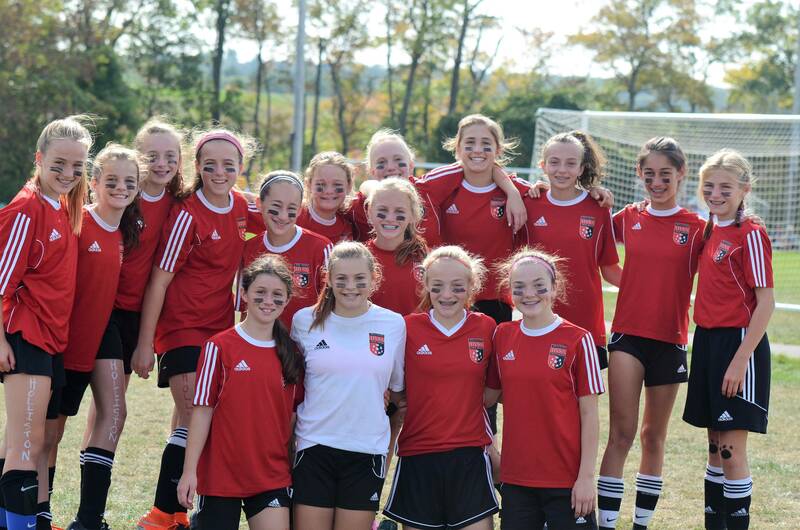 It was a really fun weekend – the Holliston girls rose to the challenge and played some great soccer. The Holliston 6 th grade girls entered the Natick Columbus Day Tournament having battled through a slew of injuries in the early part of the season. They ended up losing two close games on Saturday, 1-0 to Framingham and 2-0 to Needham. They rallied on Sunday and finished the tournament strong beating Hopkinton, 6-0. While they did not advance to the playoffs, the girls enjoyed a fun weekend of soccer. 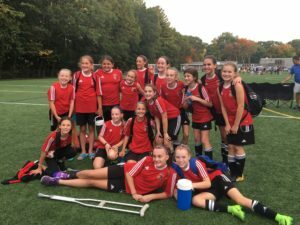 The Holliston girls 5 th grade select team, better known as “the Reds”, was placed in the Alpha Group and faced some tough Division 1 competition. 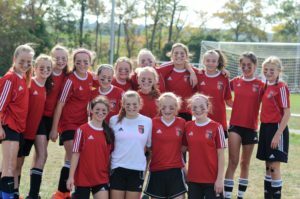 They lost to Ludlow 1-0 on Saturday but came back on Sunday and beat Framingham 2-1, and tied eventual tournament winner Sudbury 0-0 in their final game. All the girls played great and had a fun time despite the rain on Sunday. 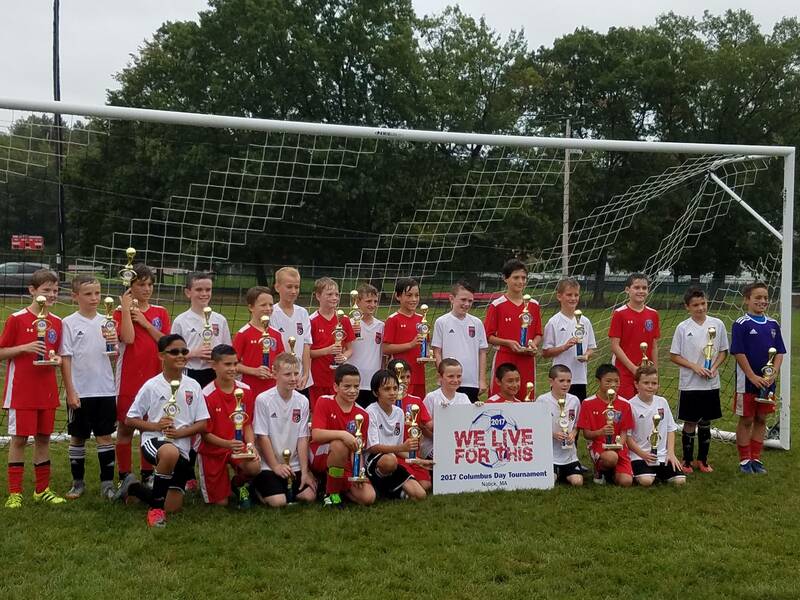 The Holliston Panthers 6th grade boys select team enjoyed a successful run in the 2017 Natick Youth Soccer Columbus Day tournament. Going 2-1 in the round robin stage, with key wins over Framingham and Portsmouth (RI), they earned 25 points to win their side of the bracket and qualify for the knock out round on Monday. The ride ended in the semi-finals against a talented and eventual champion squad from Cambridge. 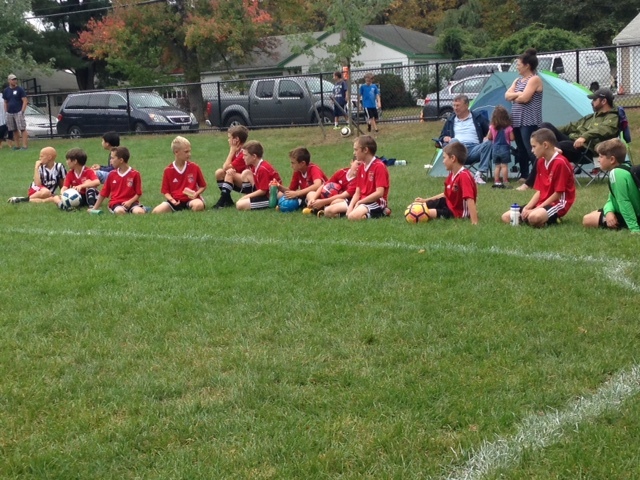 Overall, the boys played hard, competitive soccer and represented themselves and Holliston Youth Soccer well. The Holliston 5 th grade boys select team was also placed in the top bracket against Division 1 competition but were undeterred going 3-0 against Newton, Natick and Acton-Boxborough on Saturday and Sunday to win their group and move onto the semifinals on Monday. Holliston defeated Framingham, 3-1, in the semi-finals before losing to Natick in the final game. The Holliston 4 th grade boys select team were placed in the top bracket for U10, and they played really well against tough competition with games against Framingham, Newton, Sudbury and Natick over the 2 days. 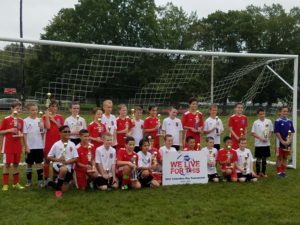 The boys ended up winning one and losing three, but every game was closely contested, and they showed that they can be competitive with anyone and had a blast in what was the first tournament experience for many of them.